In the heart of Venice, our family of artisans use centuries-old techniques to create this unique Cloisonné necklace. Each murano glass bead and glass pearl is handcrafted over a small flame. To create the center pendant artists add blue millefiori accents and painted details, made with the thinnest of black and copper infused glass canes. Next they fill in any empty space with white glass, reminiscent of Cloisonné, to create these one-of-a-kind beads. 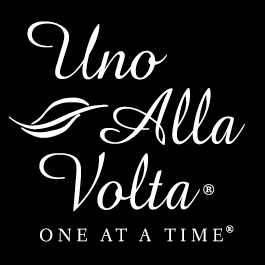 Each Cloisonné necklace, a limited edition of 100, is made exclusively for Uno Alla Volta. Approx. 18in. long. with gold-plated findings and lobster clasp.